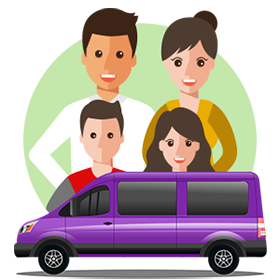 Shuttle to LAX - Shuttle transportation to LAX, Burbank Bob Hope Airport, and other Southern California airports. Shuttle to LAX provides transportation to and from LAX and other airports like Burbank Bob Hope, John Wayne, and Long Beach Airport. We also provide non-airport rides in the Southern California area. Let us know when and where to pick you up and drop you off. Pay securely with your credit card using our online booking feature. Sit back and relax and wait until the date of your scheduled ride. 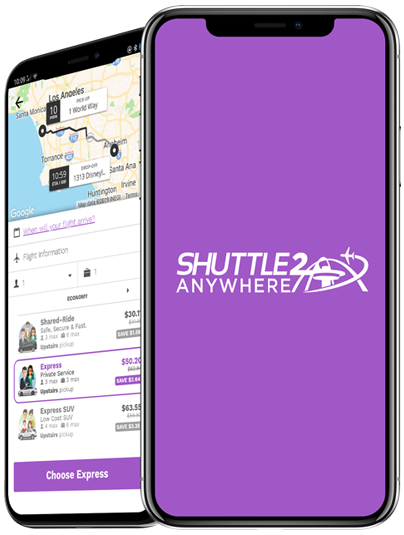 Take advantage of the many benefits of using our Shuttle to Anywhere app now available for both iPhone and Android mobile phones. Make Reservations Faster without having to talk to an agent. Avoid entering your payment information each time by safely and securely saving it to your account. Save your favorite locations such as "Home" or "Work". Get picked up on-demand with just the click of a button. 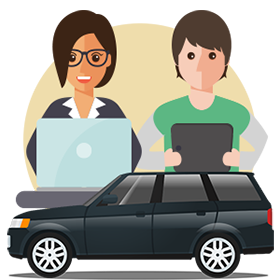 Best of all know exactly where your driver is by watching their vehicle come to you, right from your phone. Use the Prime Time Shuttle App to go anywhere freely. Set your pick up and drop off point and tap, select ASAP for right now pick up or RVSP for future reservations. $20 Fare NO MATTER WHERE! If you want the most affordable shuttle to LAX and sharing a ride with others is not an issue then Shared Ride is the way to go. If you prefer a private and more comfortable ride we have PRIVATE services you can choose from. We are able to provide you with the lowest priced airport transportation available. 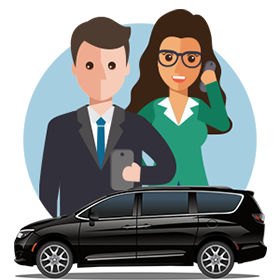 By booking Shuttle2LAX's Shared Ride service, you will be on a shuttle with up to 9 passengers and make between one and four stops on the way to or from the airport. 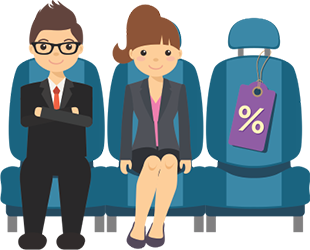 With this service you can save up to 80% off a traditional taxi rate. This service is for up to 2 passengers. This new service uses environmentally friendly Prius hybrid vehicles. Our Direct Non-Stop Service is our lowest priced private service, that is right this is a private service so you don’t have to make any stops. Shuttle2LAX's Executive Sedan service is the service for you. 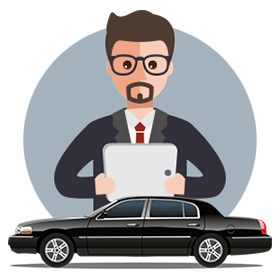 Unlike other luxury sedan services, which typically base their fares on distance, number of passengers or time on the road, our Executive Sedan service has a flat rate fare. If you want the luxury of a Business service but need more space, then our Luxury SUV service is the way to go. 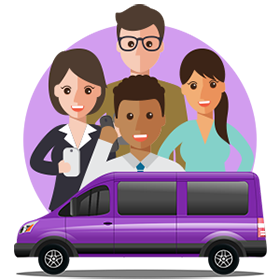 Our Private Van service is our supersized non-stop service which offers 7 or 9 seats. Perfect when you need more space or just want to roll with the entire family or crew. Why Choose Shuttle To LAX? By partnering with major transportation companies and selling what would otherwise be empty seats we are able to make $20 Dollar LAX Shuttle possible. We only deal with the premier airport shuttle van and transportation companies in the industry. You can be assured that not only are they fully licensed and insured, but are the best in customer service too. No need to deal with traffic, road services, parking fees, and the stress of driving yourself to the airport. Shuttle2LAX guarantees you arrive at Los Angeles International Airport in plenty of time to make your flight. How much advance notice is needed to book a reserved pick up? 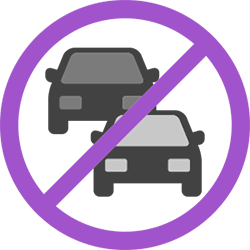 Our online reservation system will not allow you to book a reservation less than 6 hours before your pickup time. 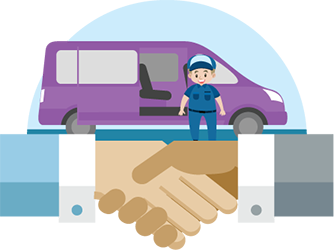 We’d like you to book as far ahead as possible, however, as this always allows for the contracted carrier to plan ahead for you and your pickup. When you know, let us know! How can you do this for an affordable price? Seats that would otherwise be empty are passed on to you, along with the savings. But, we need you to spread the word, so that we can keep the low fares coming. How do I know my shuttle is from a safe, licensed, insured, reputable company? All of the companies we contract with use drivers that are licensed by LAX and the California Public Utilities Commission, and are fully insured. We only pick the best companies to serve you. Working with shoddy companies would just make us look bad too, so we have an incentive to be careful.